But sometimes there are villains that get associated with heroes and it is hard to make a connection. And in Iron Man’s case, one of the oddest is the Mandarin. If all you know of the Mandarin are the things that showed up in Iron Man 3, then we need to hit the reset button. His origin has been tweaked some in recent years but the core idea of it has remained the same: the son of a very wealthy Chinese man, who lost his wealth and status during the communist revolution, the Mandarin, who was born in the 1920s, set off to seek a mystical life, which is where he doesn’t quite fit as a Iron Man villain; that part of his story would seem to put him more inline with being a foil for Doctor Strange. But on such a journey, the Mandarin discovers the crash of an alien spaceship and takes on its technology in the form of 10 rings and sets about trying to rule the world, as all good megalomaniacs do, which makes him an interesting figure to base your next big villain in your TTRPG campaign! So, thinking about the Mandarin, the first step is you will want to identify the 10 rings and what each ring does. 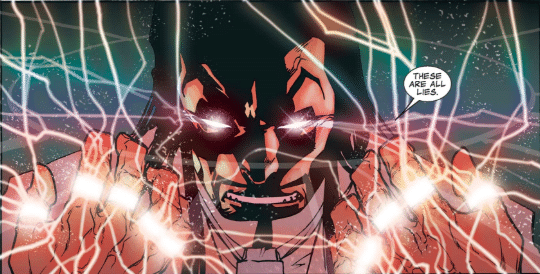 One of the other things that Gillen did in his run on Iron Man was make the rings have a telepathic connection and personalities to some degree. At a low level, it is pretty easy to match each ring to a spell and put some limitations on it. For instance, I might make Black Light be ring which allows the user to cast the darkness spell 3 times a day if attuned to the ring. Some of the other rings might be more tricky but with some planning, a good DM can map those out. And once you have mapped out the 10 rings and their powers, figure out which 4-5 rings the Mandarin has lost or is seeking. This will help set up the eventual conflict between the party and the new Big Bad. Then, at a very low level adventure, drop in one of the rings. The party will likely want to use it and be attuned at which point the ring’s voice and personality start to reveal itself to the user. I would just use this to set up the rest of the rings, not to push the character(s) towards an evil bent. For instance, the ring of darkness (Nightbringer) is a low enough power that it won’t break your game mechanics too much yet offers intrigue. Maybe on the 3th or 4th time the user uses the ring, it speaks to the wielder. Maybe on the 6th or 7th time of usage, it talks about missing its “brothers and sisters.” Not long after that the party could get ambushed with a group led by someone with a more powerful ring. And from there, the rings and that story become more important leading into an eventual battle with the Mandarin himself. Here are some of the dangers that could await a story based on this idea. First, don’t make this into a fetch quest to recover all 10 rings. The Mandarin should likely have at least 5 of the more powerful rings when the group encounters him, if not more. Two, be mindful of where your characters are level-wise and make sure the rings and their power don’t break the game mechanics. Turning the ring known as Incandescence into a free fireball spell at level 1 is going to mess up your game. 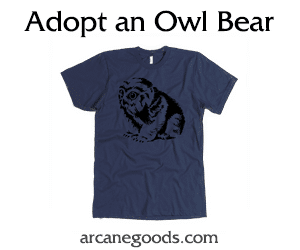 Having it work once per day as fourth level adventurers is a little powerful. At 7th level, 3 times a day usage would match a wizards spell slots for the third level spell that fireball is in Dungeons and Dragons 5e. 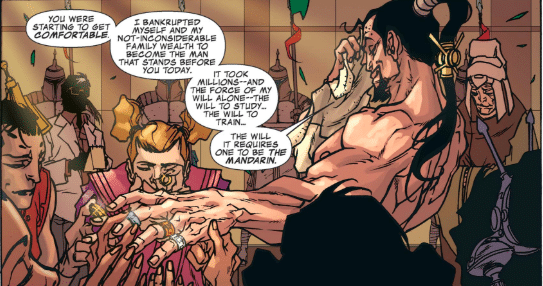 Any other ideas for how we could take the mystical Marvel megalomaniac known as the Mandarin and turn him into the villain in your next Dungeons and Dragons or Pathfinder game?